On August 31, the US combat operations in Iraq came to an end. They started more than seven years ago in March 2003, when Iraq was invaded by troops from various countries including the United States and United Kingdom. This was the start of the Iraq War. There are still around 50,000 American troops in Iraq, but their role is to advise and help the Iraqi soldiers and government. They are all expected to leave Iraq by the end of 2011. Combat troops from all the other countries left Iraq over a year ago. Iraq was attacked mainly because it was believed the country had weapons that could be used to cause destruction around the globe. These weapons were never found in Iraq. 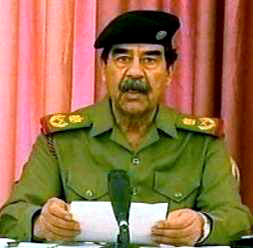 Iraq’s leader before the war was a man called Saddam Hussein. He had been its leader for almost 25 years. After the war started, he was captured and tried in the Iraqi court. He was found guilty of killing many innocent Iraqis and was executed in 2006. The two main rivers of Iraq are the Tigris and the Euphrates. The region between these two rivers was once called “Mesopotamia”. The Mesopotamian civilization started more than 5,000 years ago. Mesopotamia is referred to by many as the “cradle of civilization” since it is one of the first civilizations of the world. One of the first wheels and writing systems (called cuneiform) is believed to have been developed in Mesopotamia. One of the world’s first written stories was about “Gilgamesh”. He is thought to have been a king of this area around 4500 years ago. Another story that many have read is “Ali Baba and the Forty Thieves”. This story is based in Baghdad, the capital of Iraq.